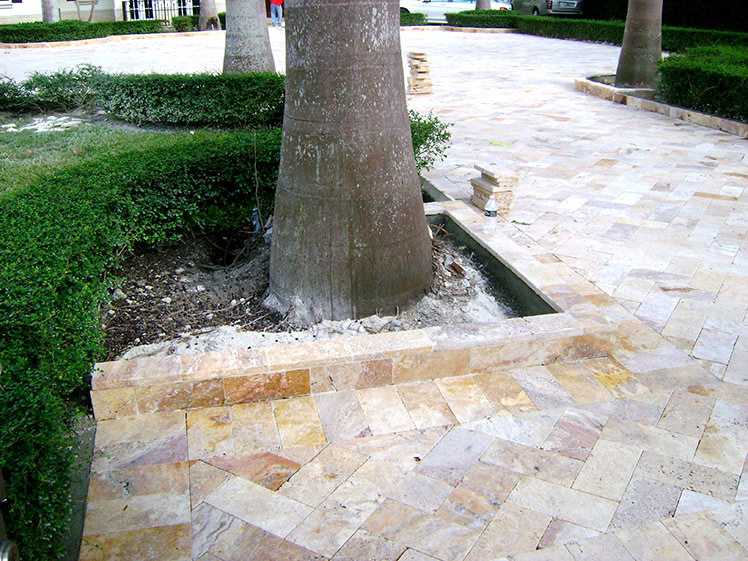 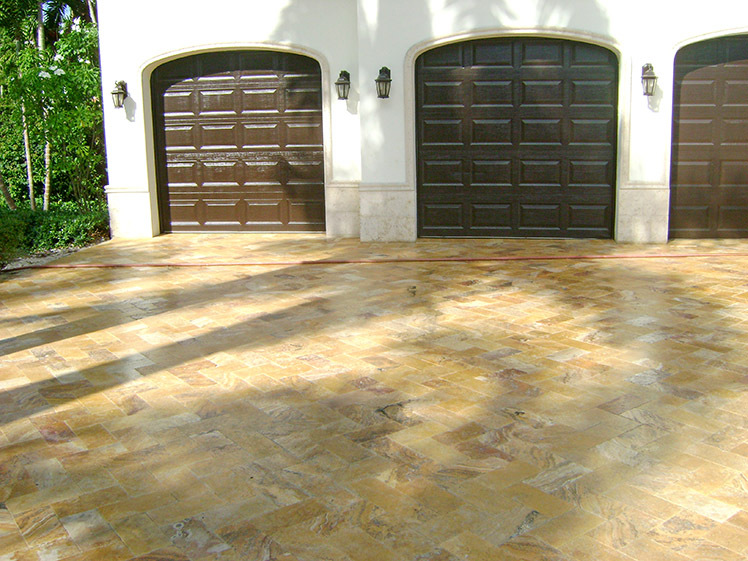 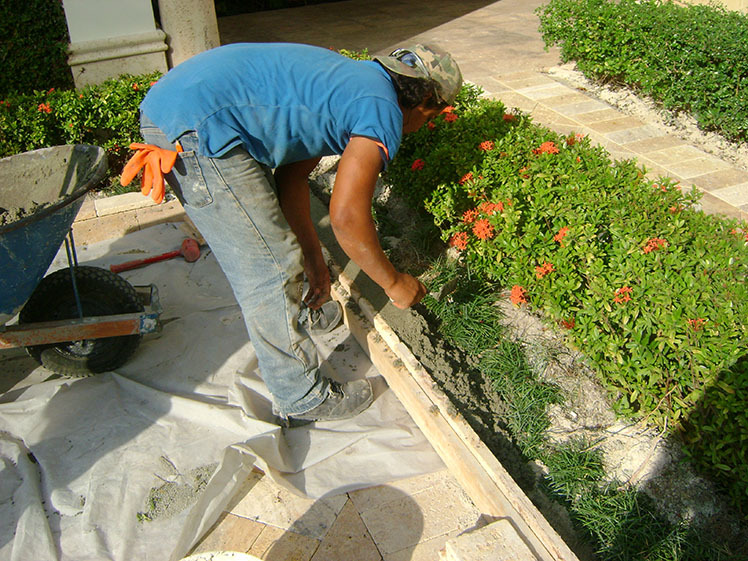 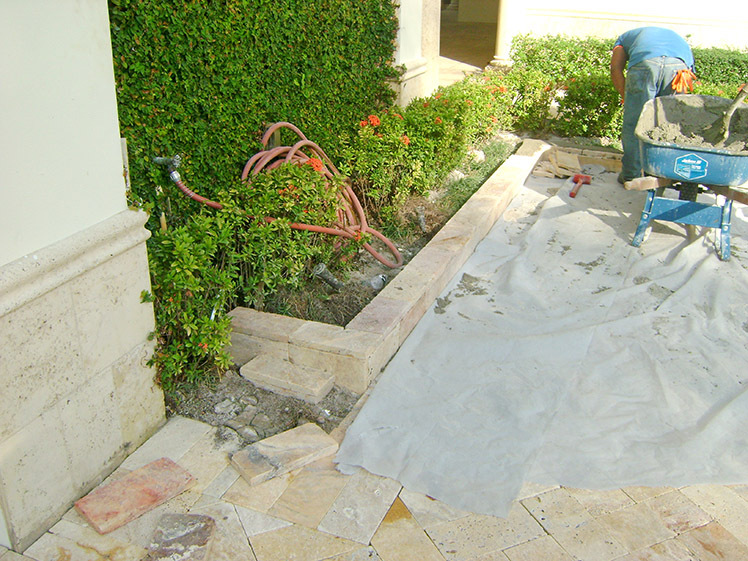 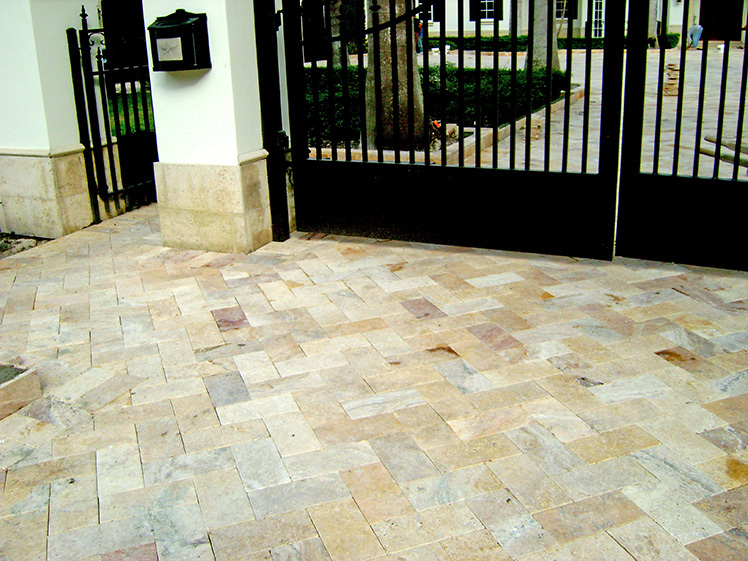 Project JL Pinecrest – Star Island Concrete Design Corp. 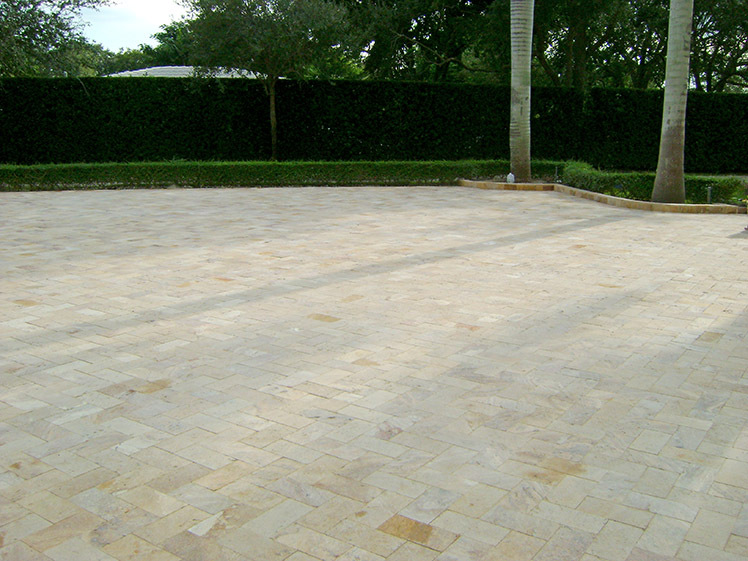 It was used as a construction material known as Travertino, from Mile Stone Company. 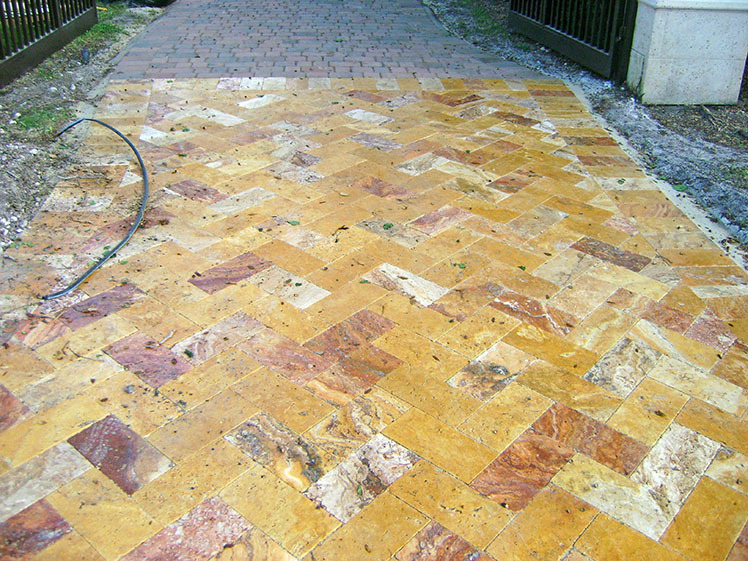 Colors such as “Meza Gold” and “Autun Blend” were used. 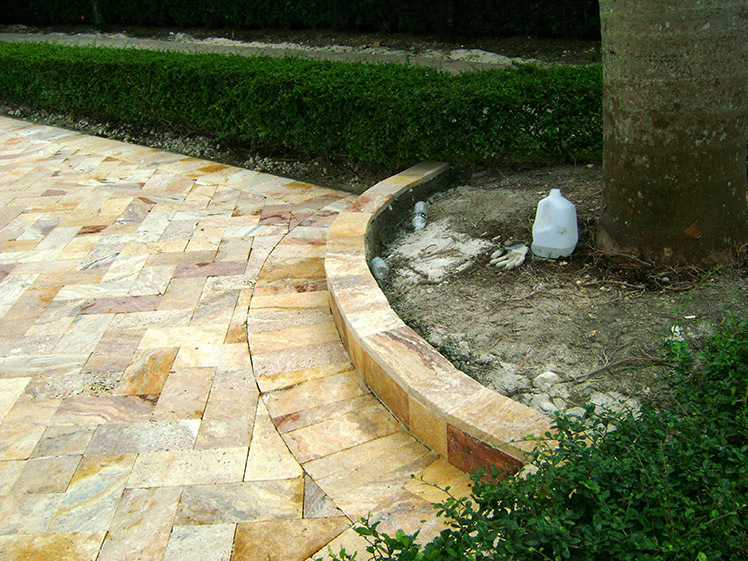 This project was executed 15 days. 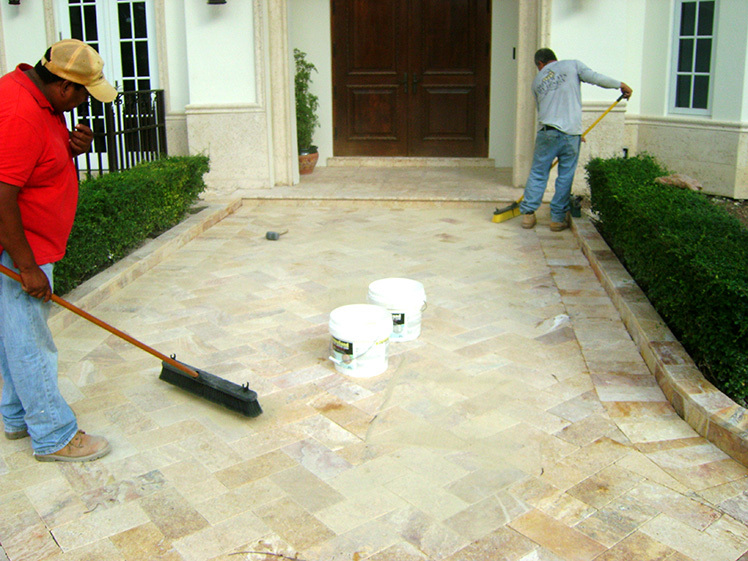 For sealing we use polymer sealing and liquid sealing, which guarantees the quality and durability of projects like this; In addition to adding a fine and aesthetic finish to the final product. 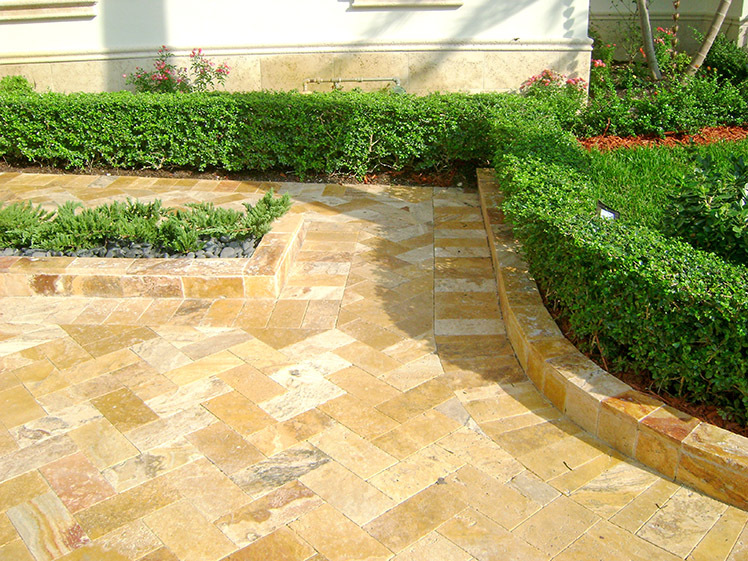 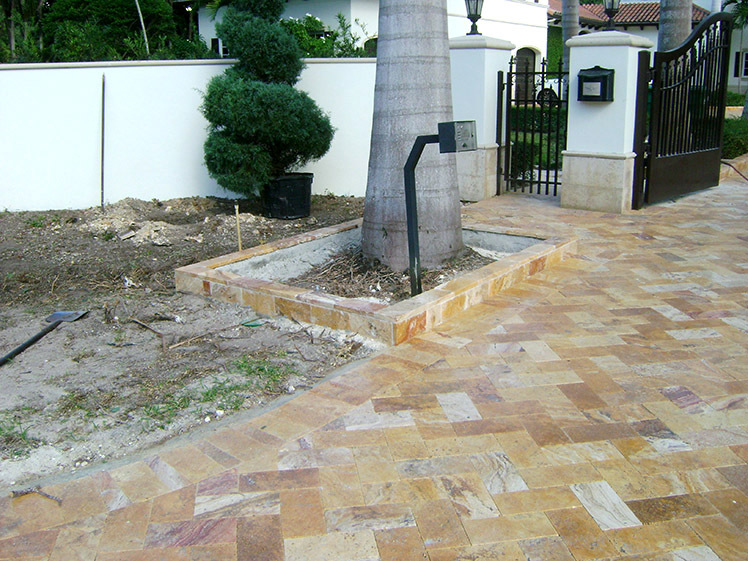 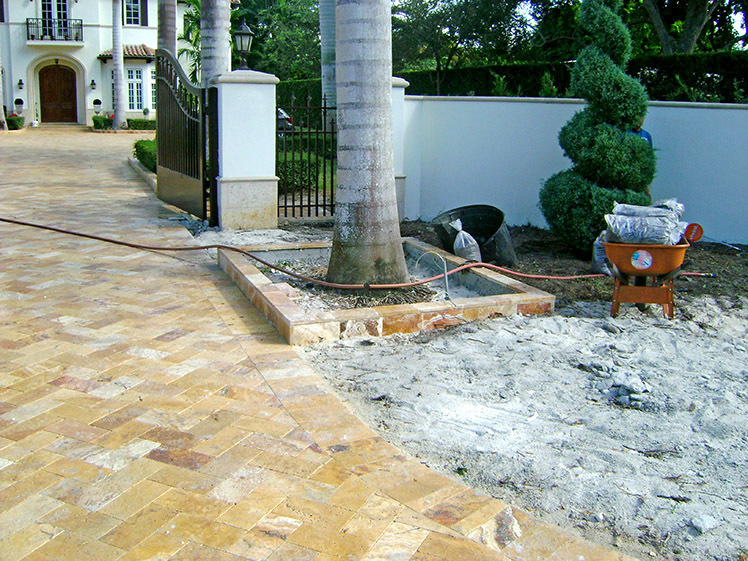 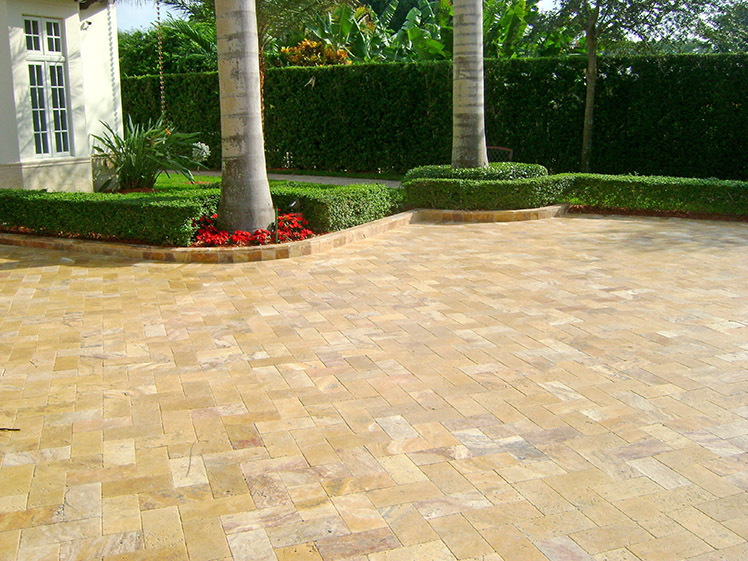 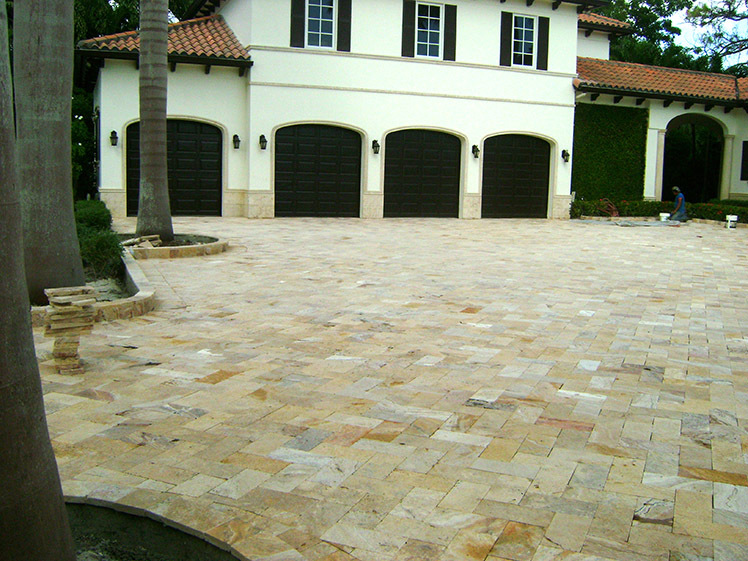 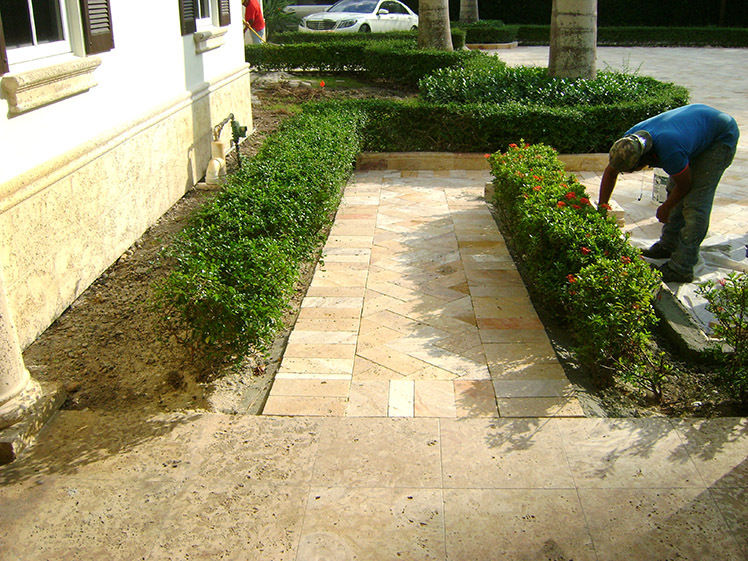 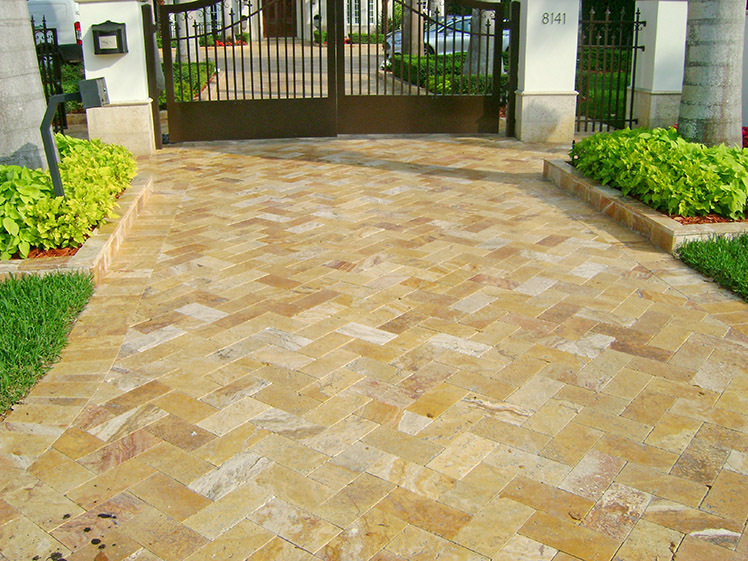 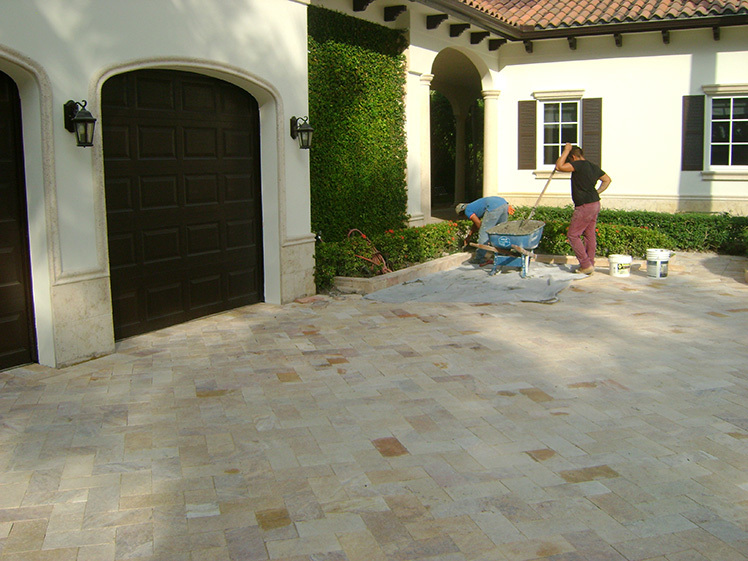 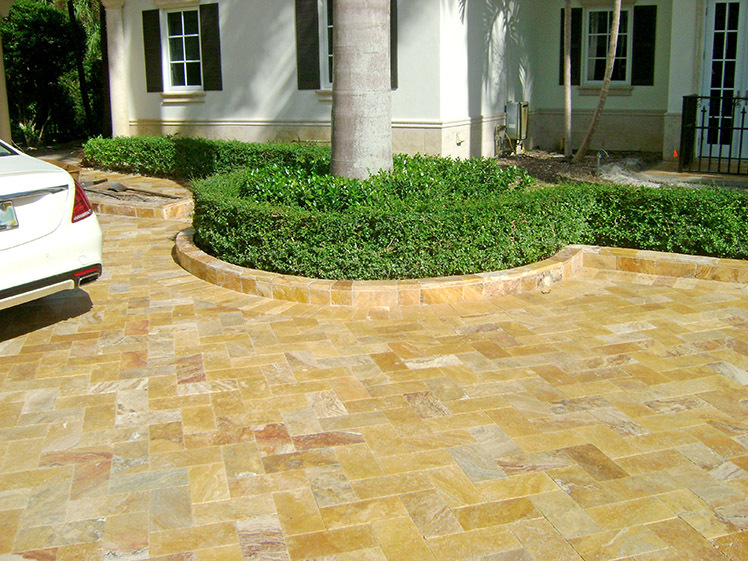 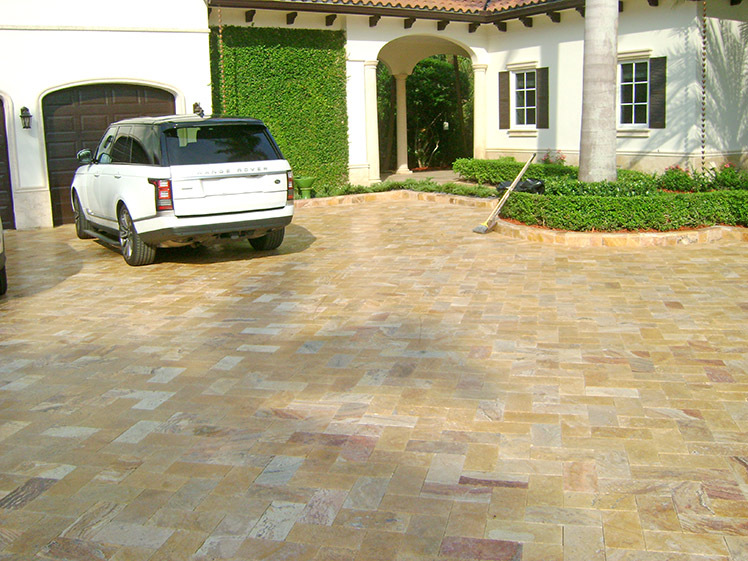 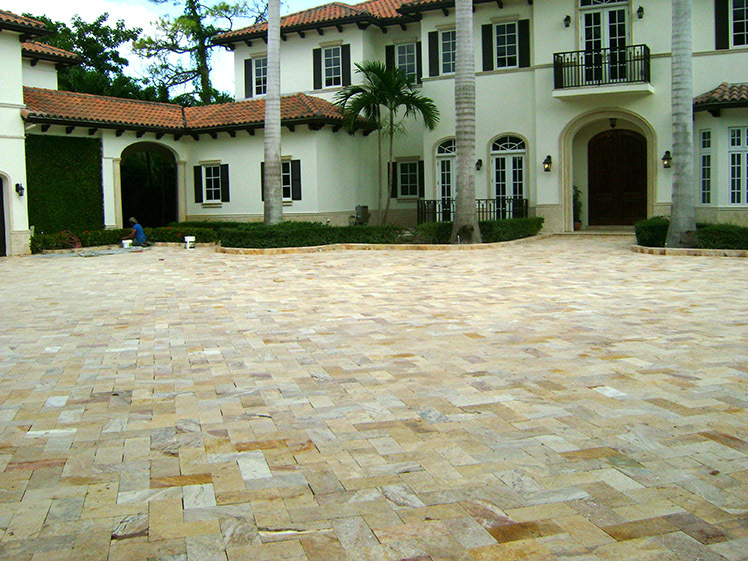 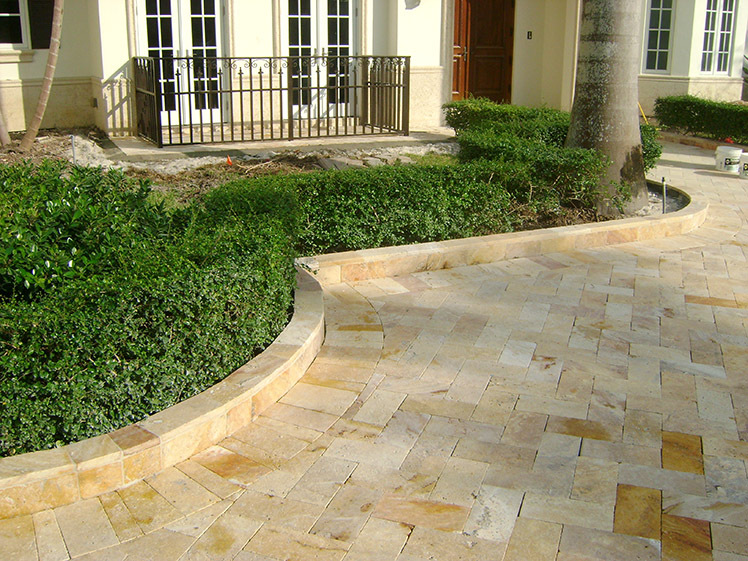 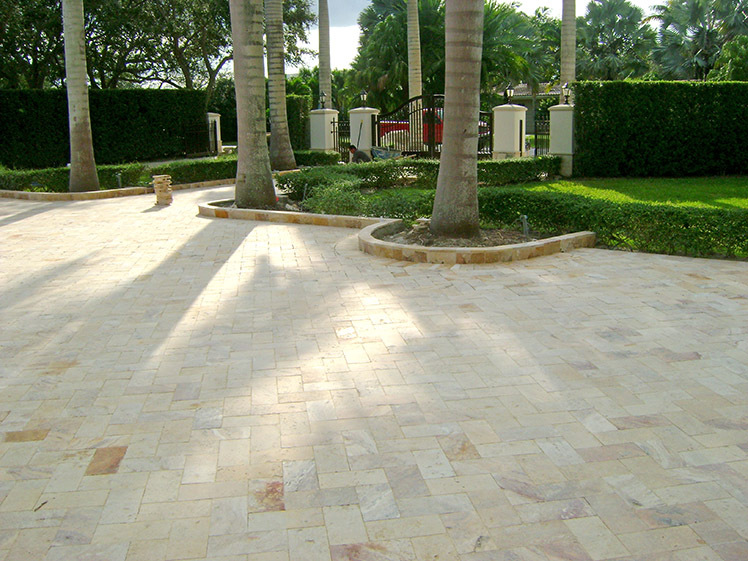 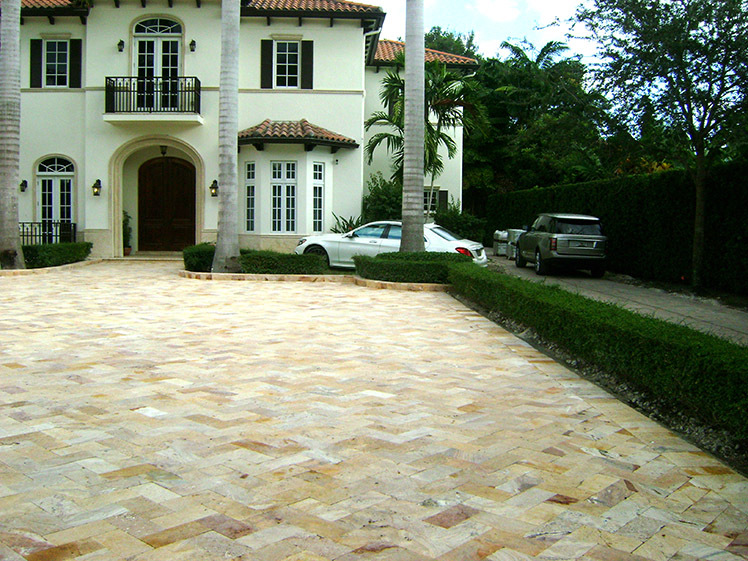 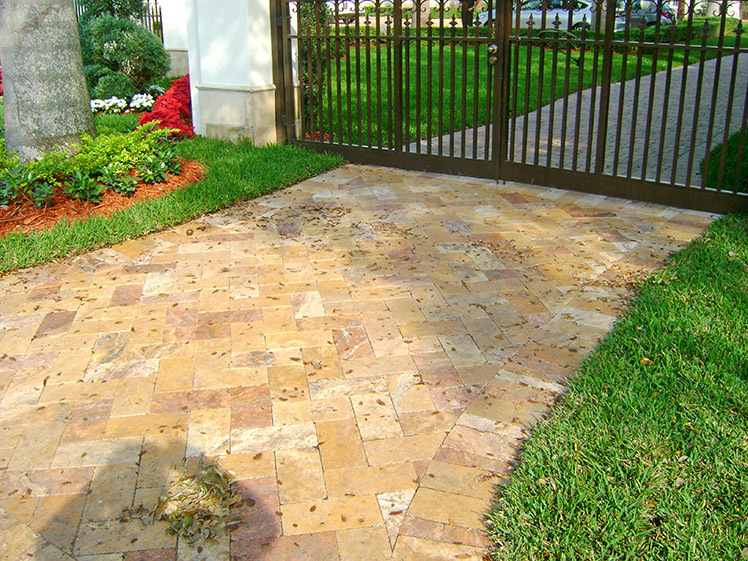 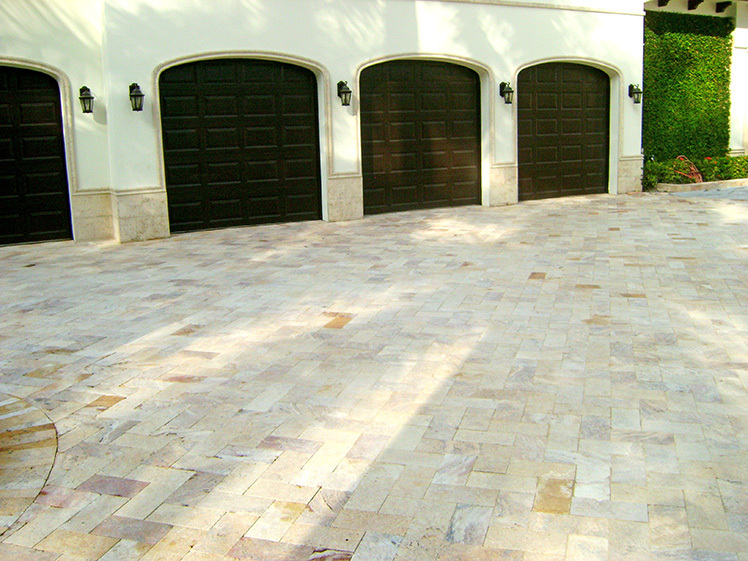 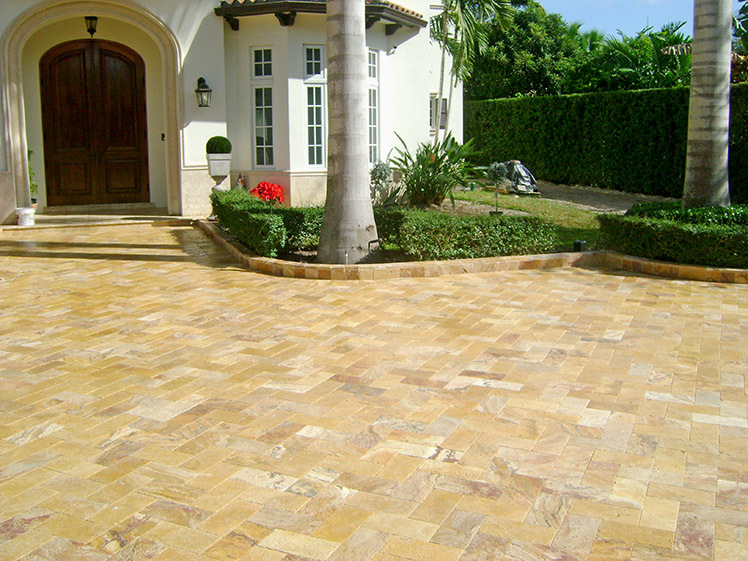 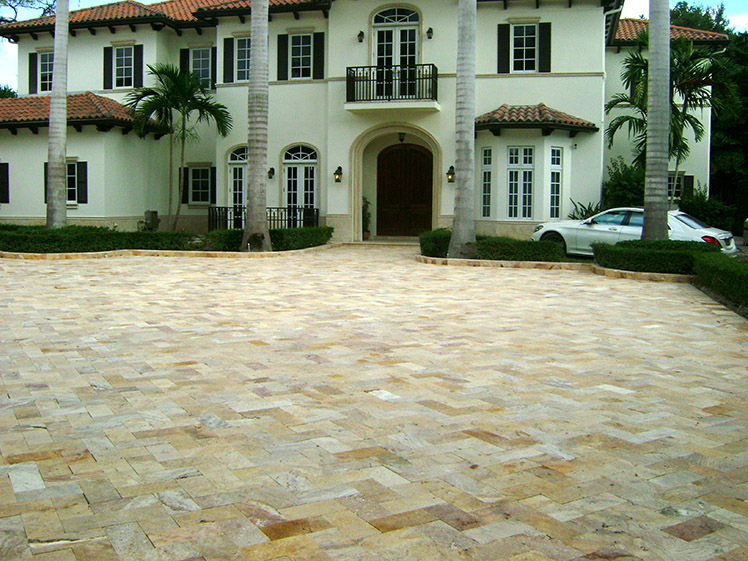 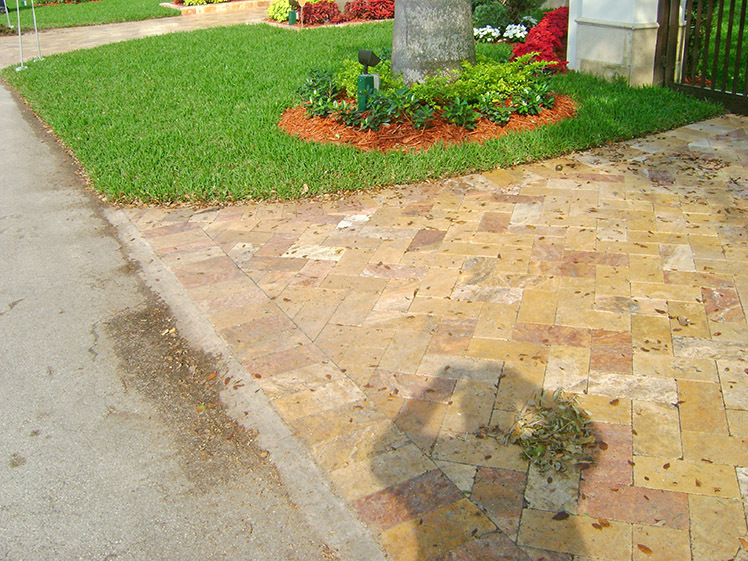 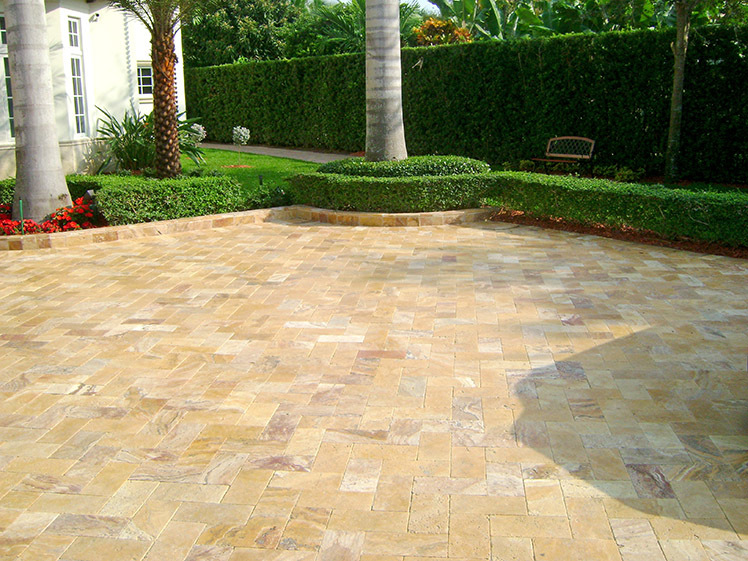 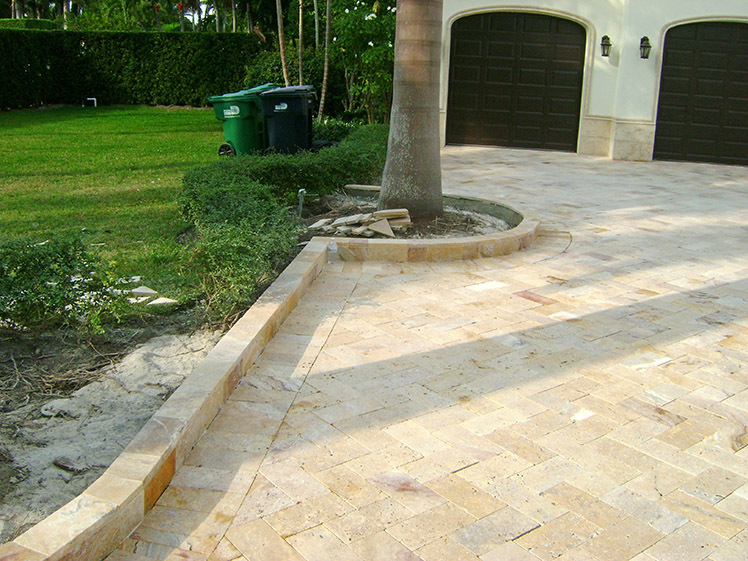 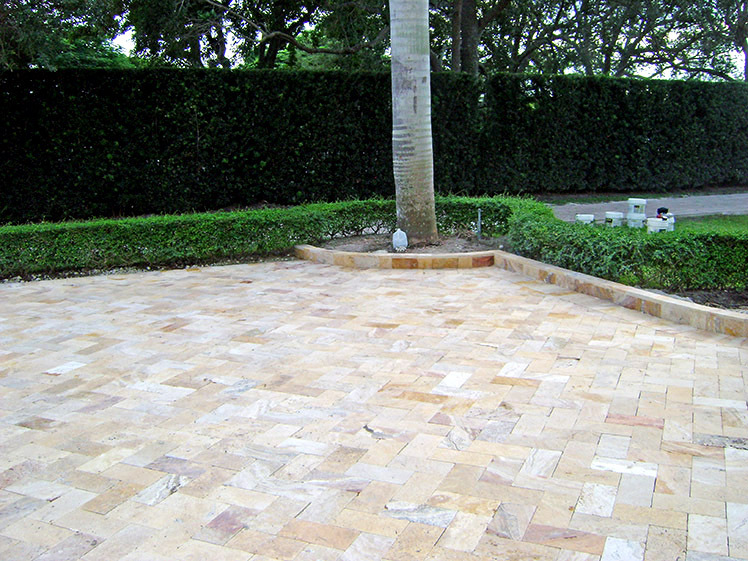 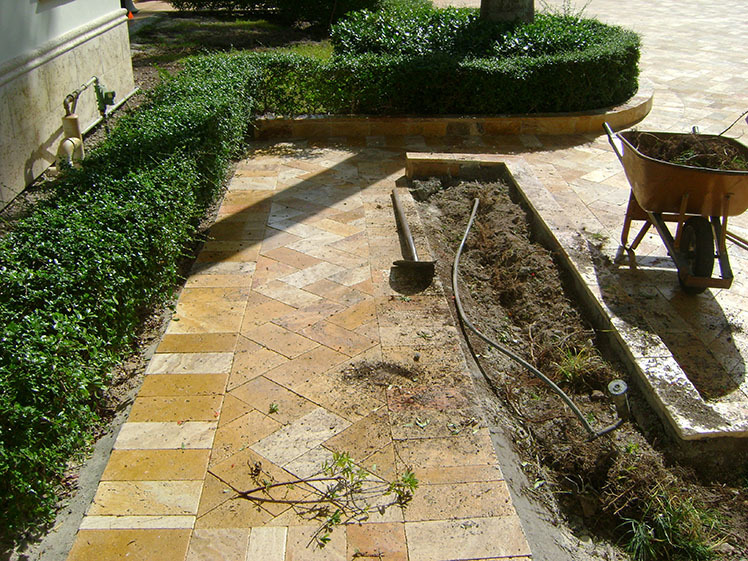 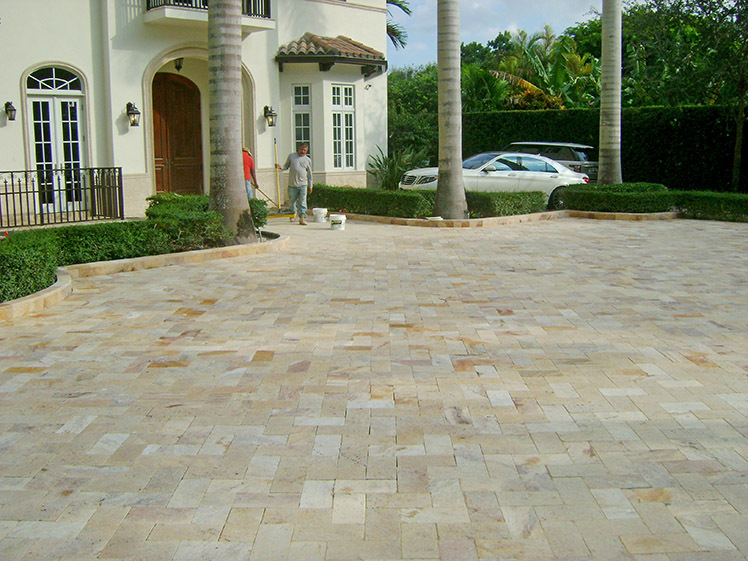 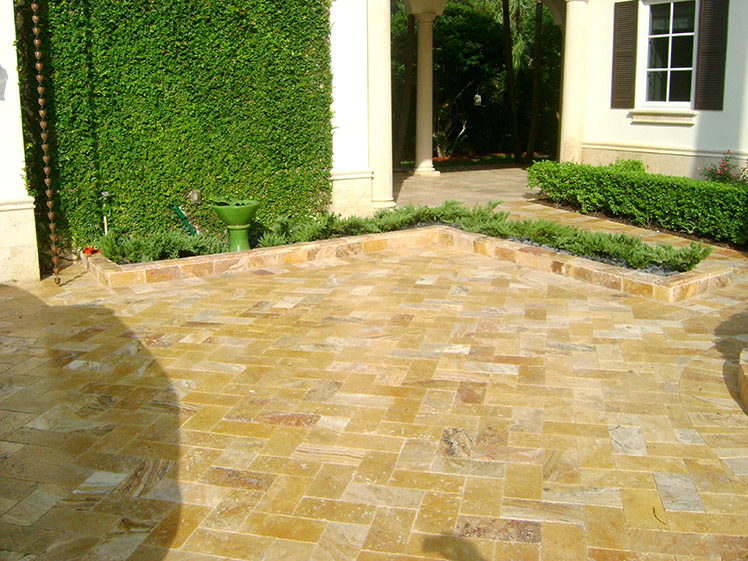 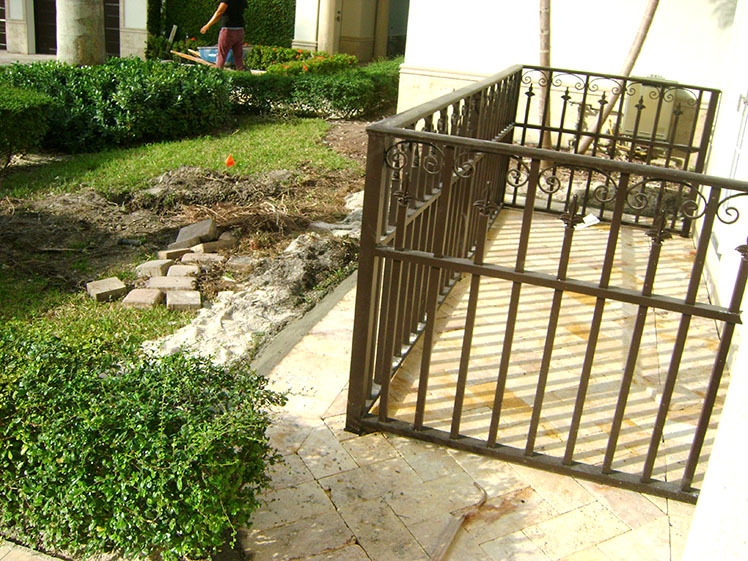 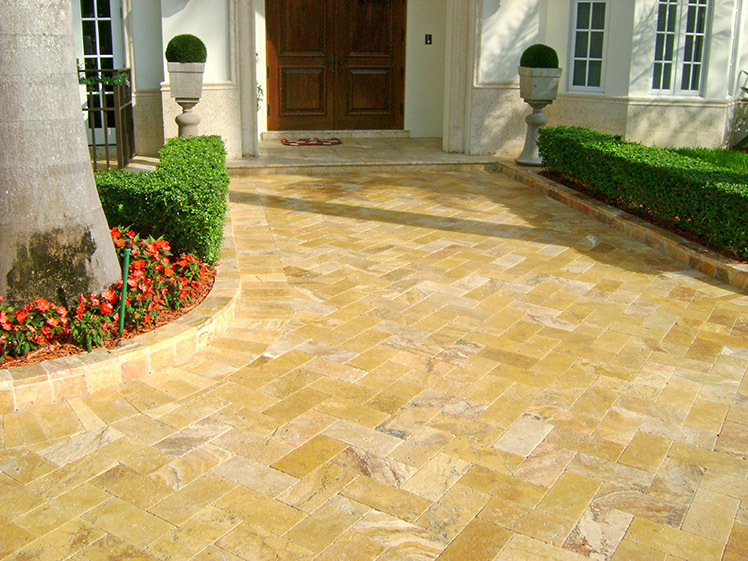 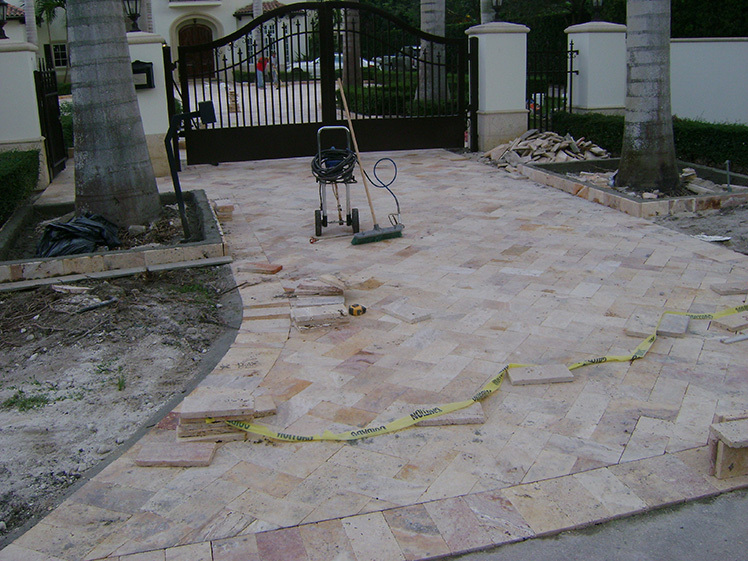 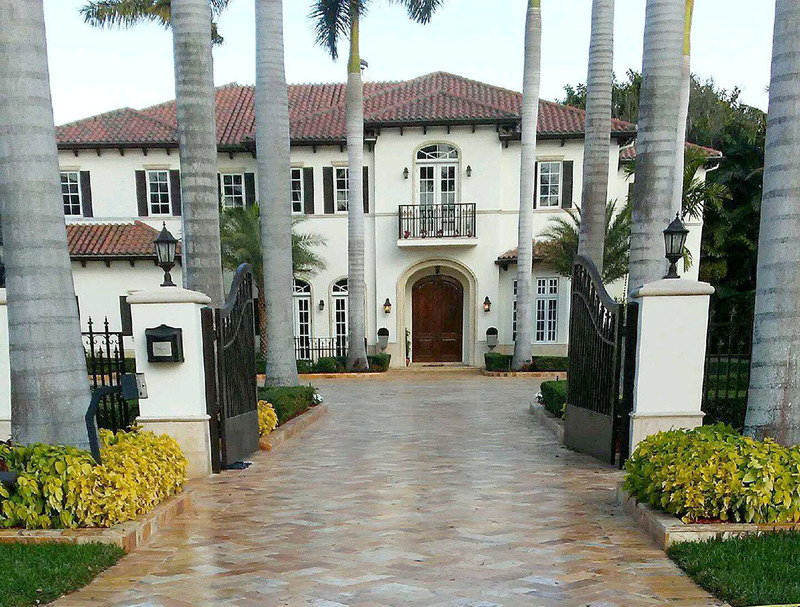 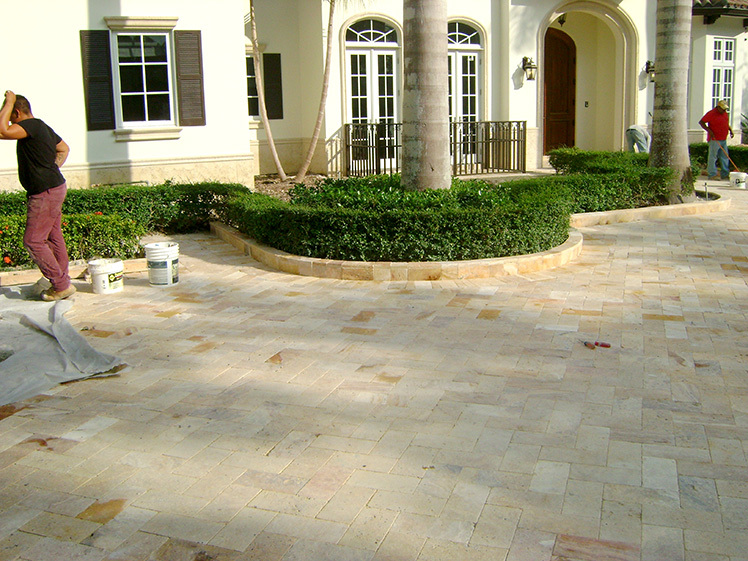 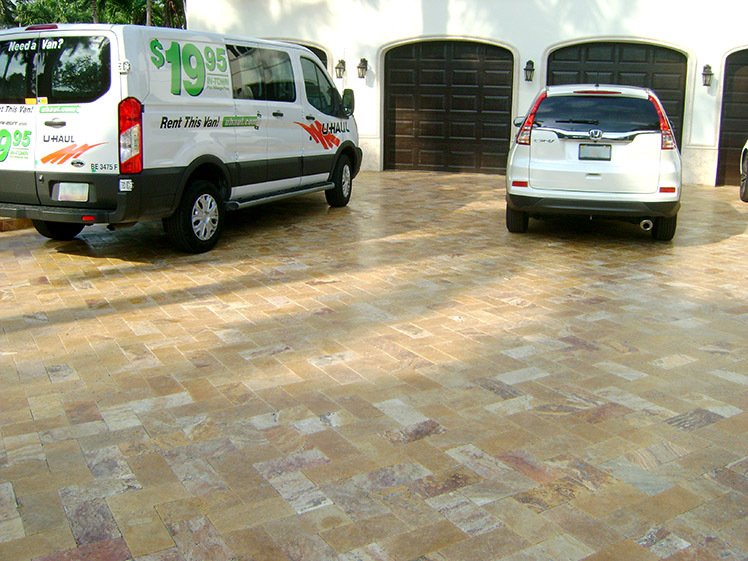 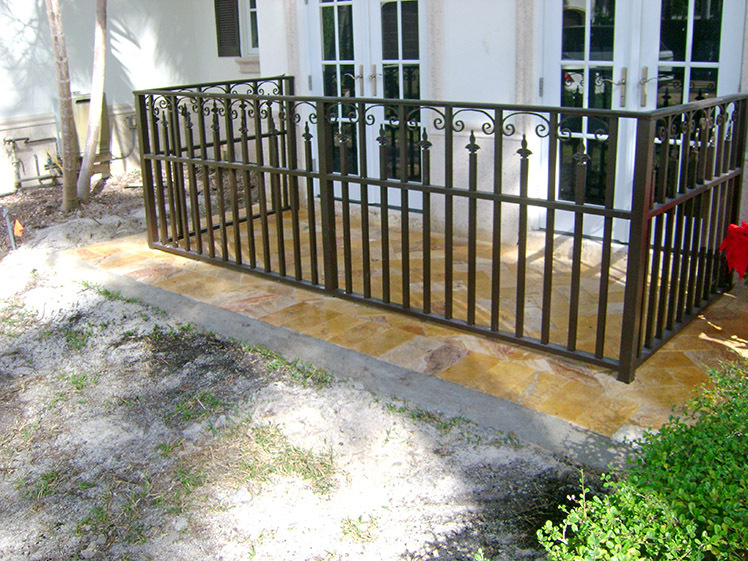 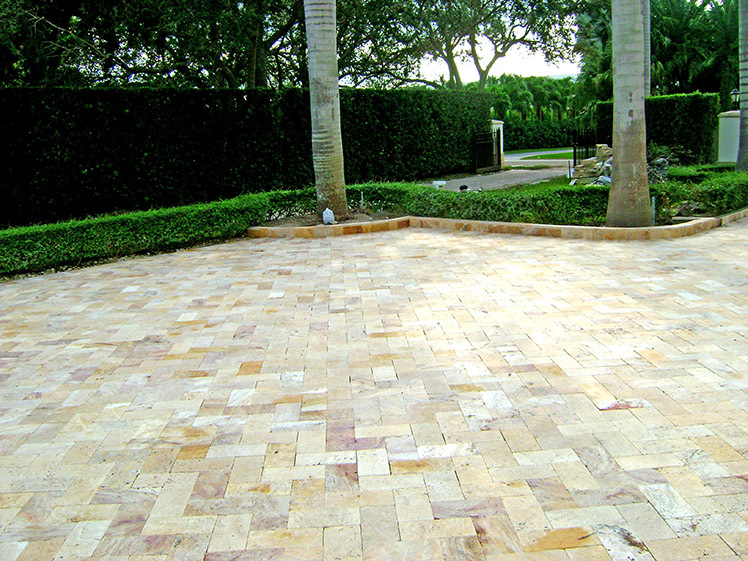 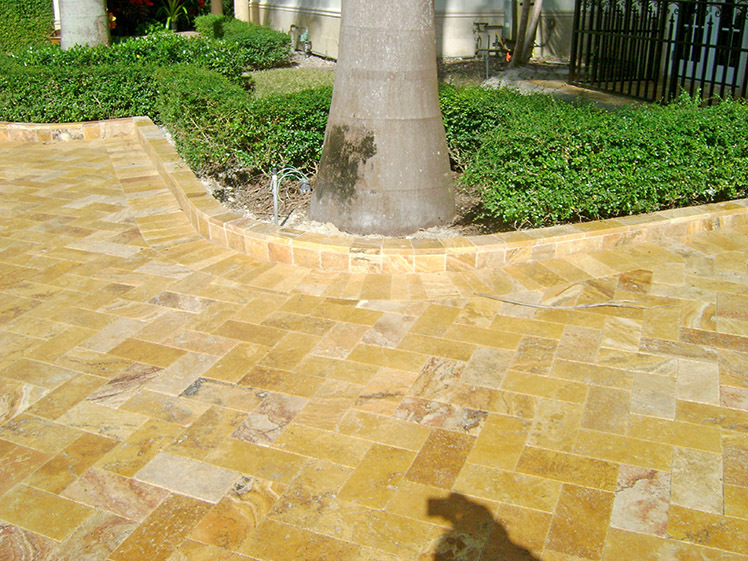 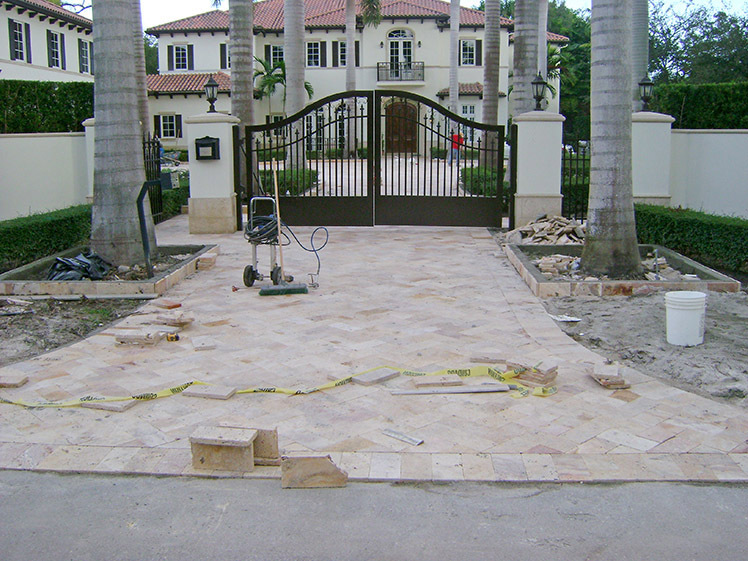 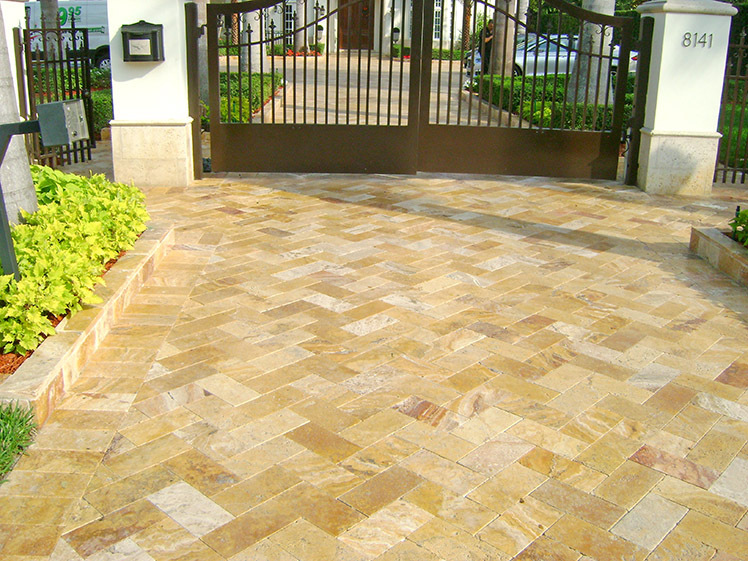 This project was executed in the city of Pinecrest. 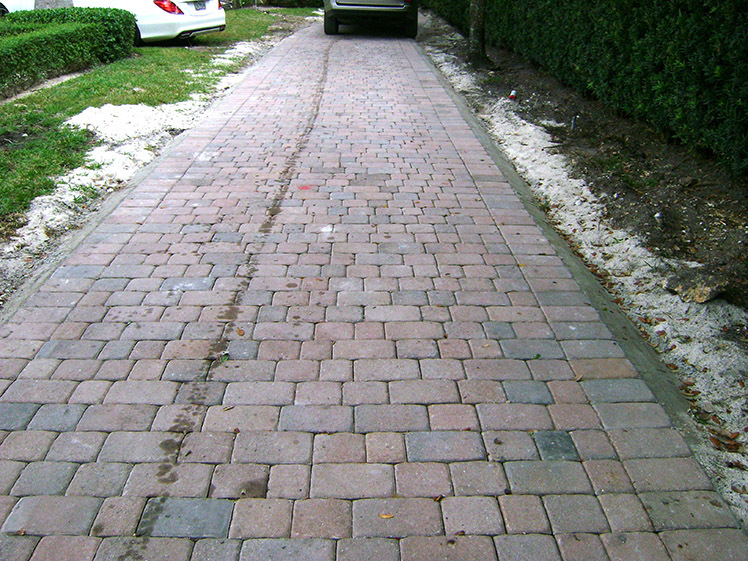 Additionally, a side driveway was run. 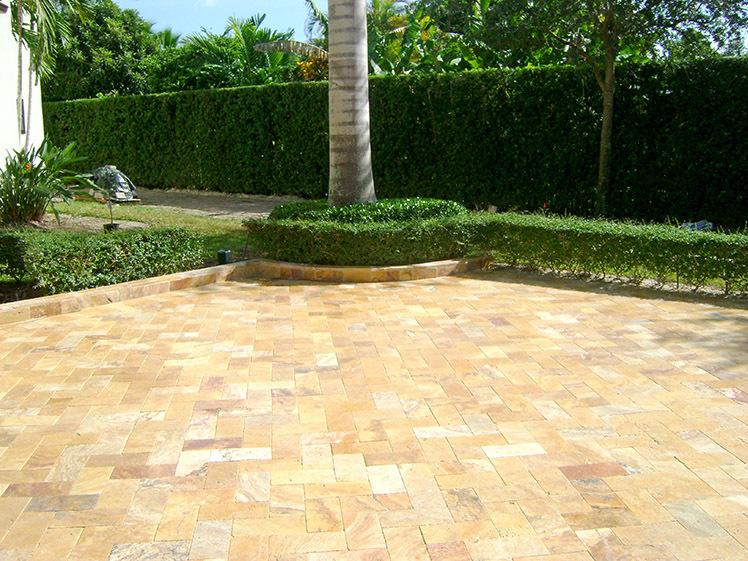 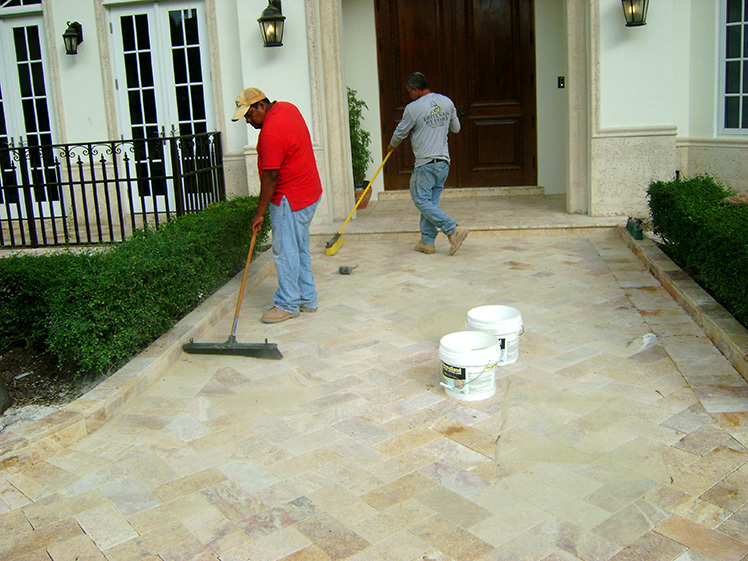 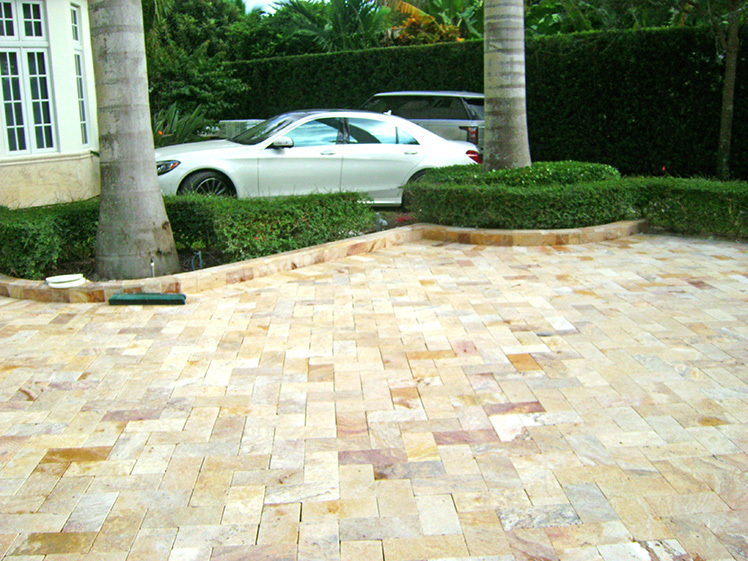 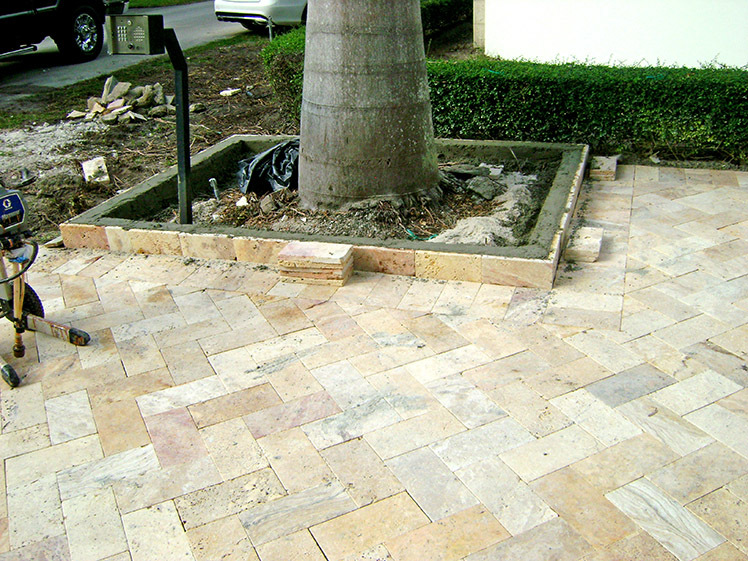 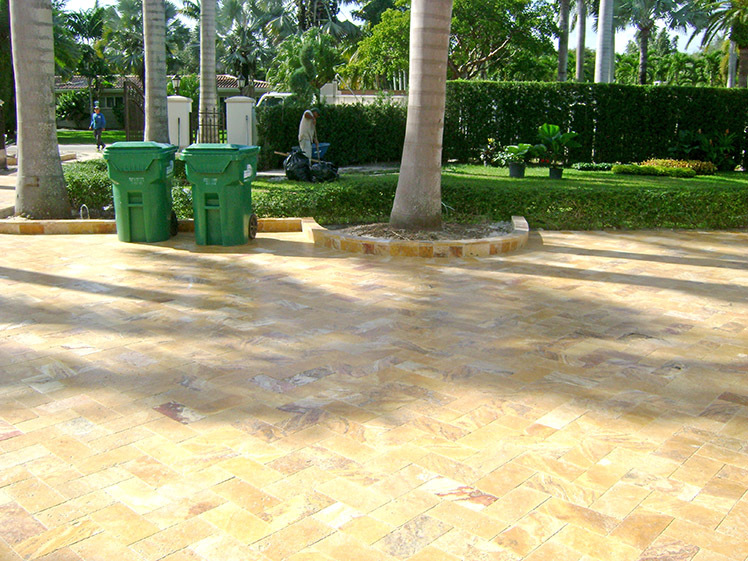 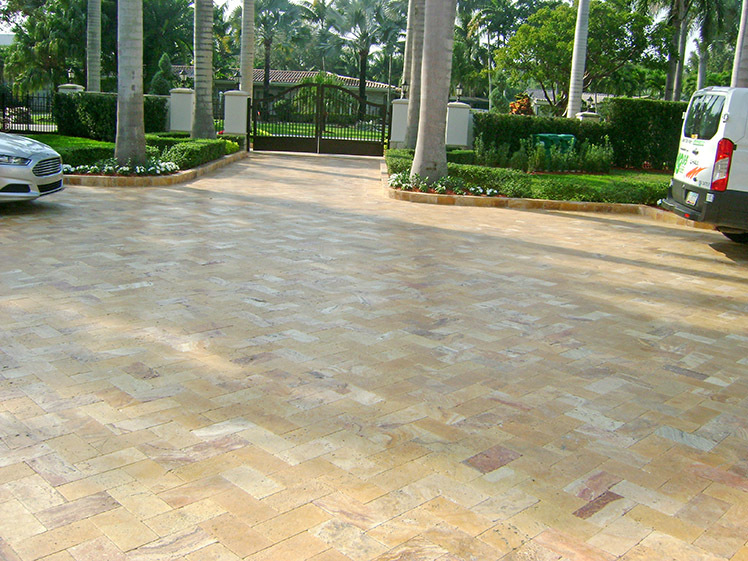 For this we used the paver as a construction material, “Old Miami” style, red color, from our supplier GEMPAVER. 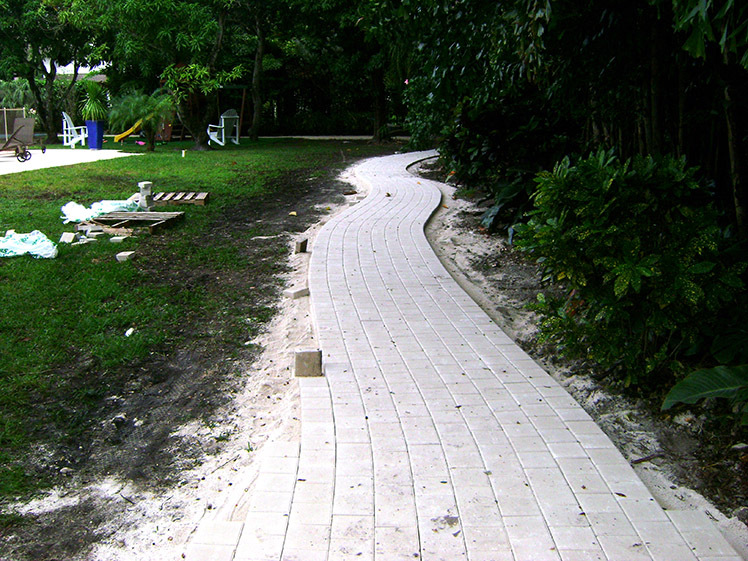 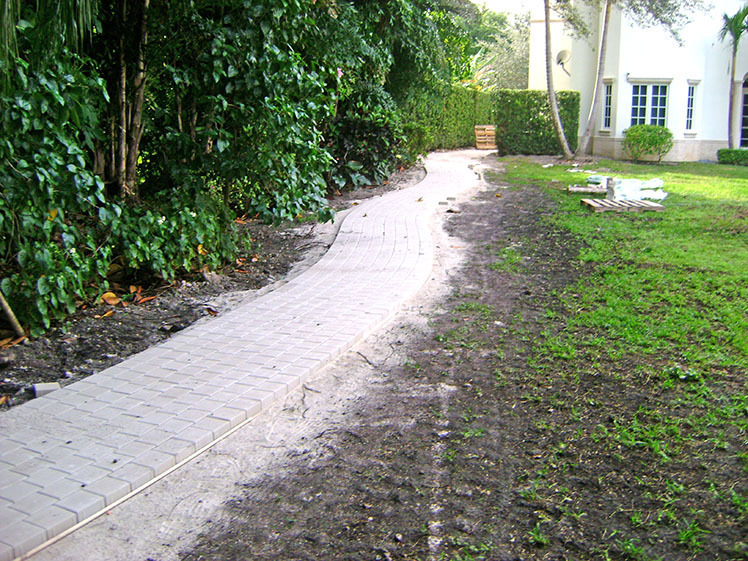 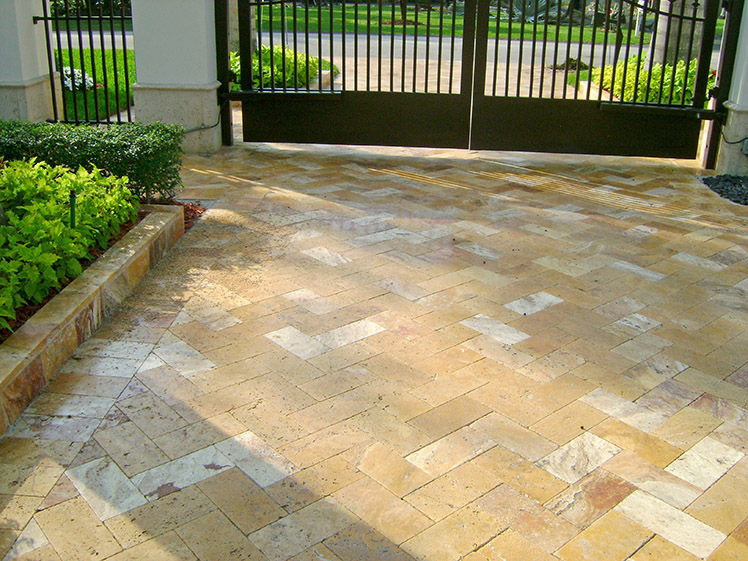 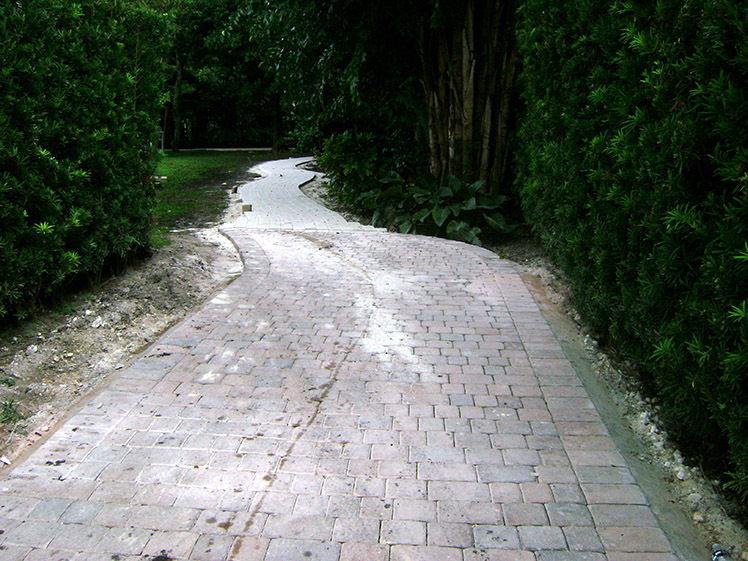 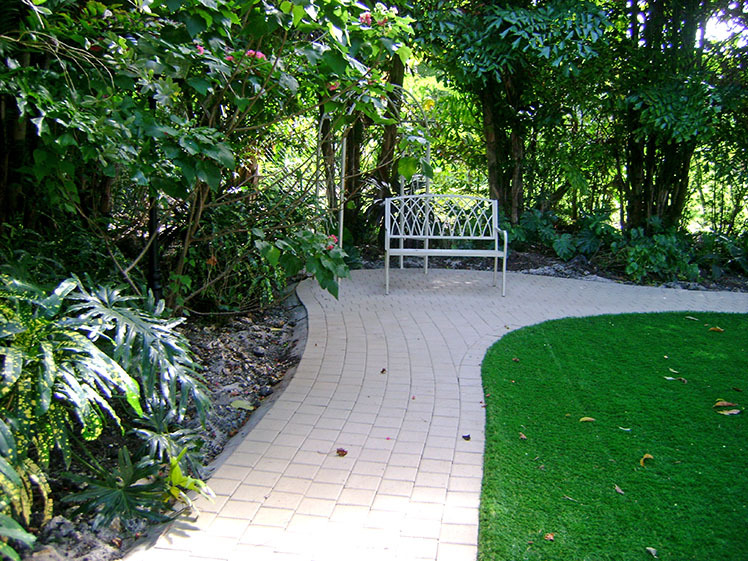 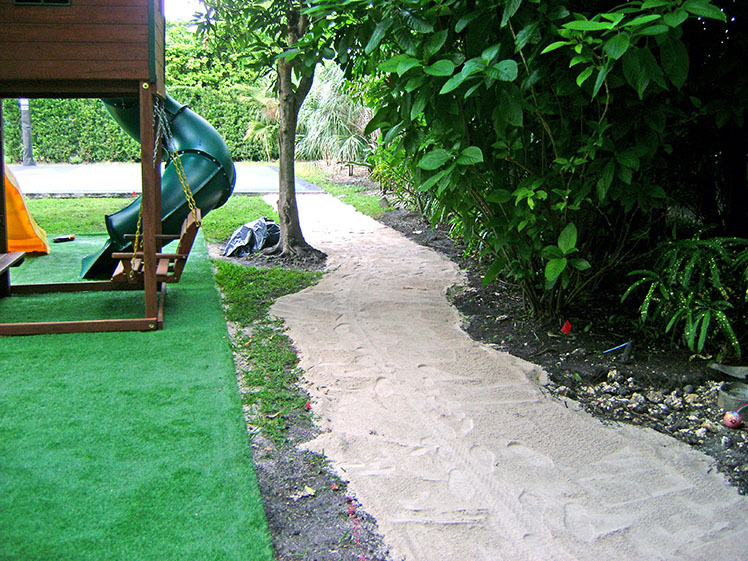 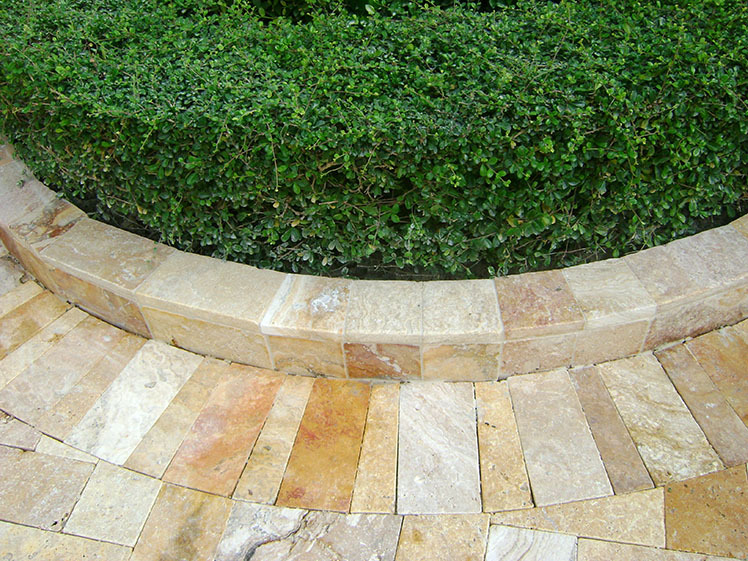 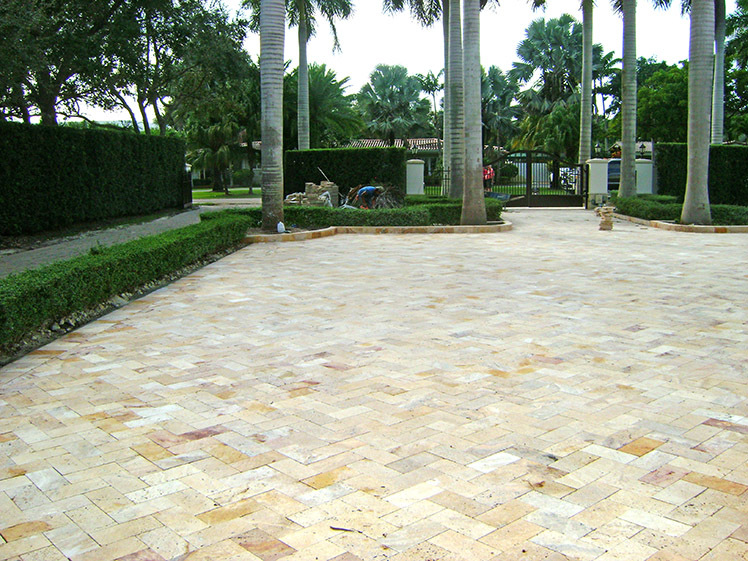 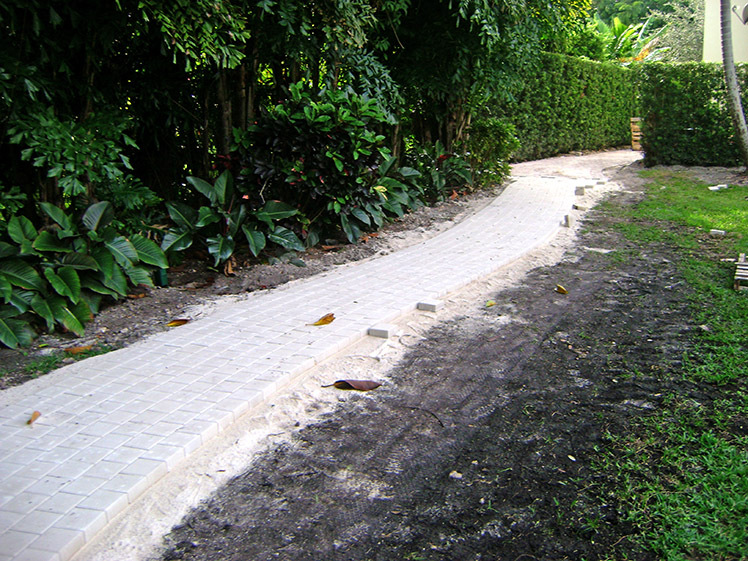 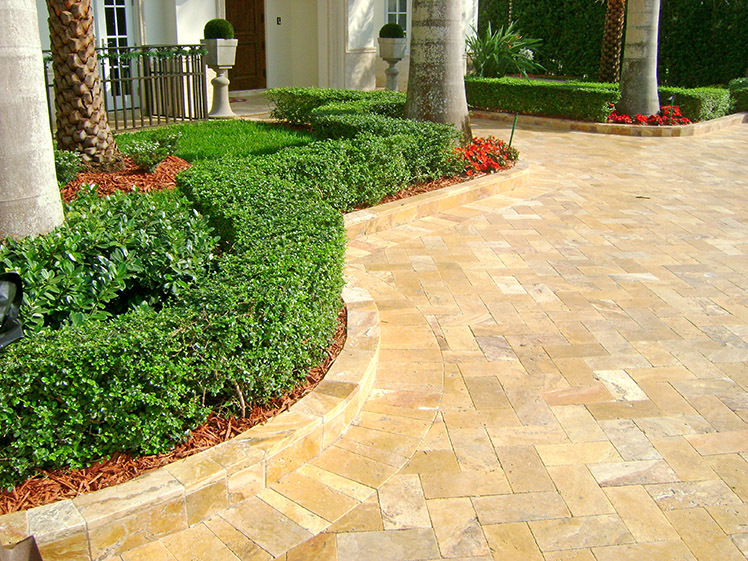 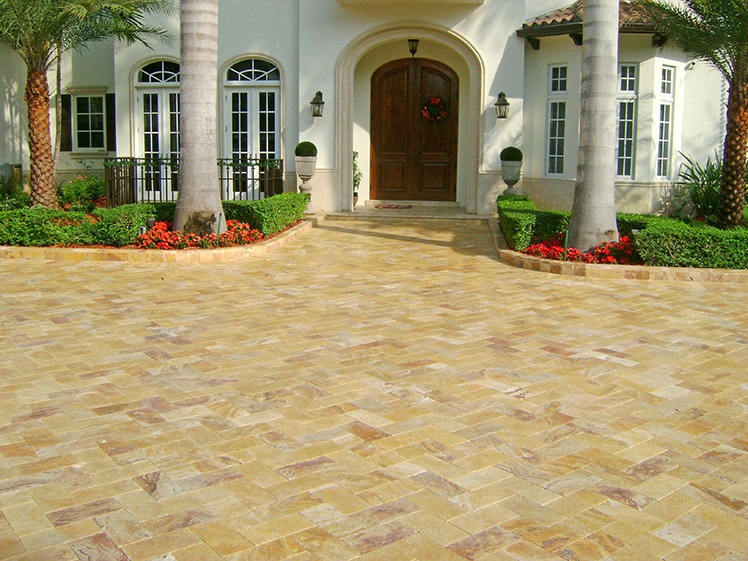 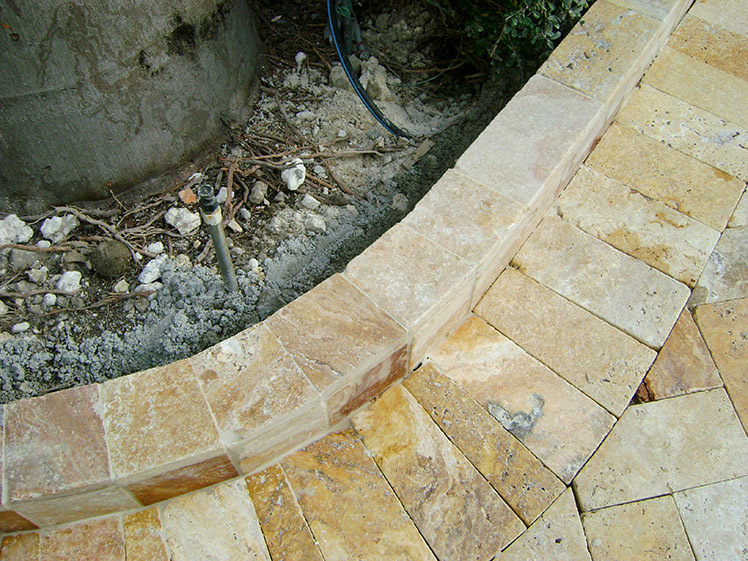 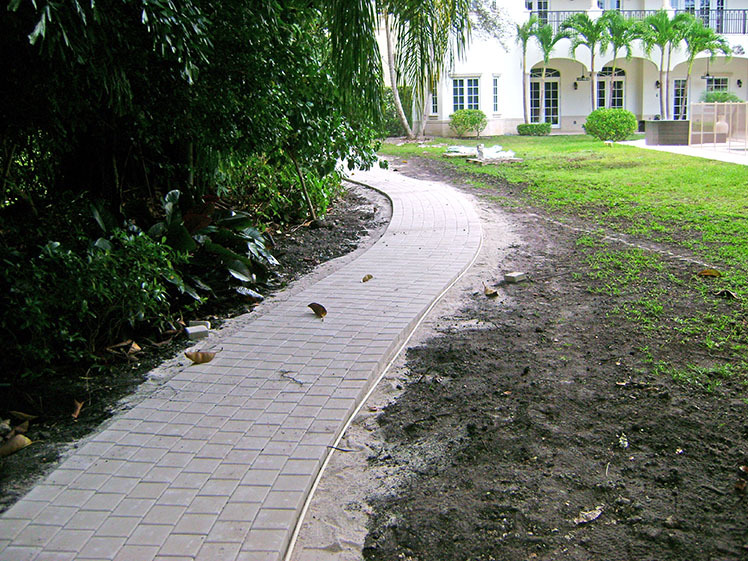 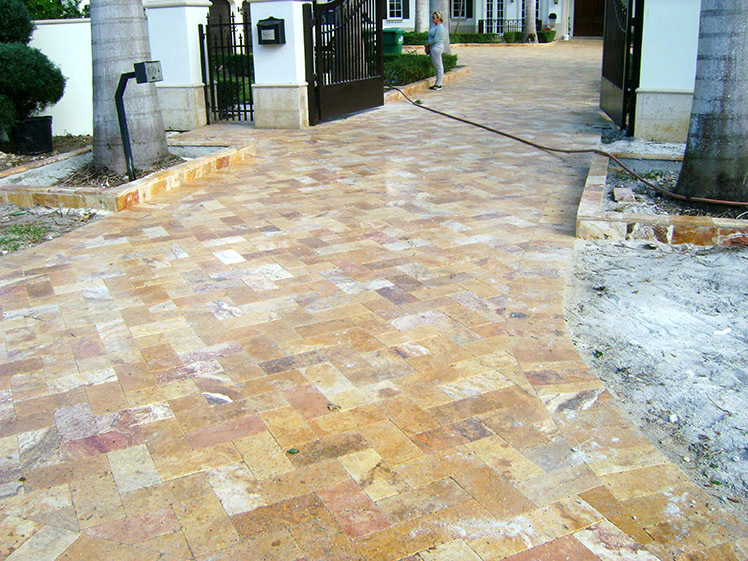 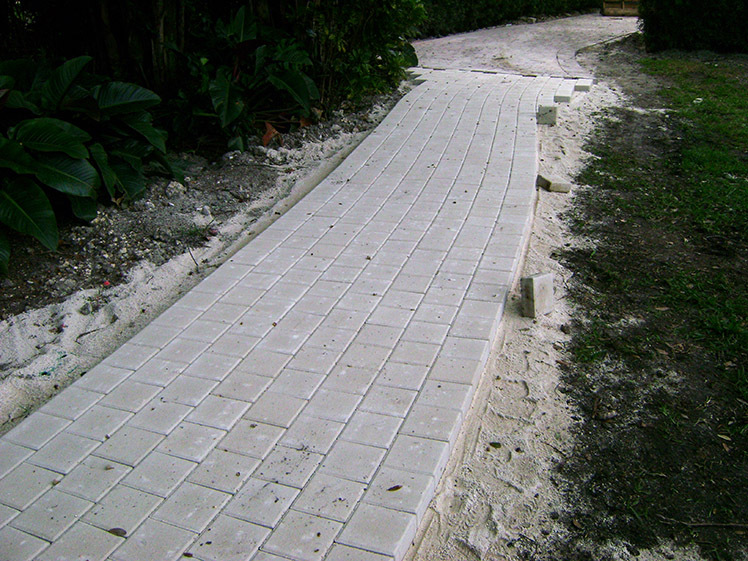 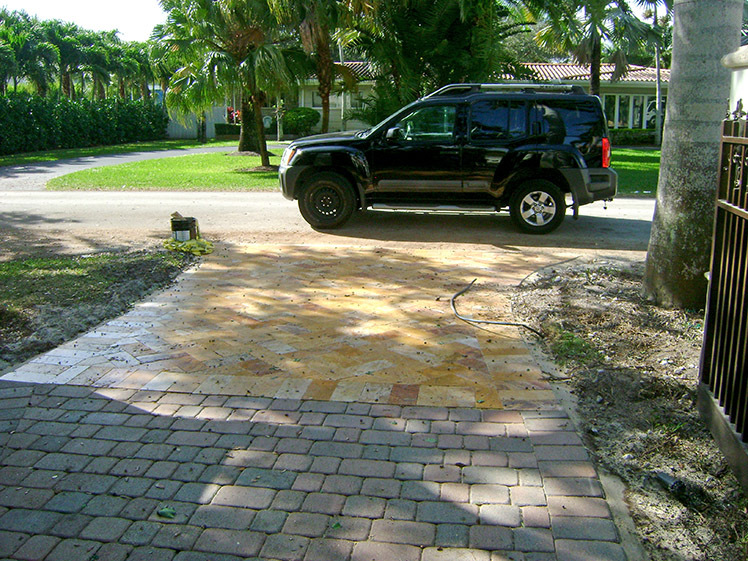 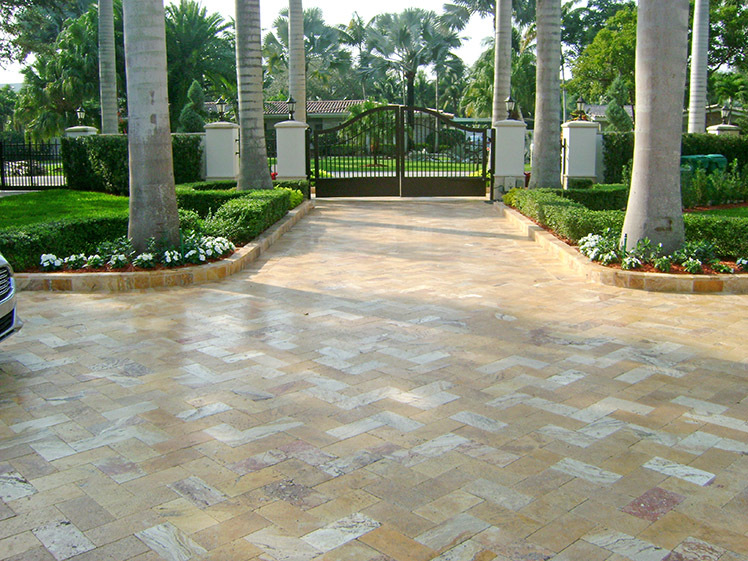 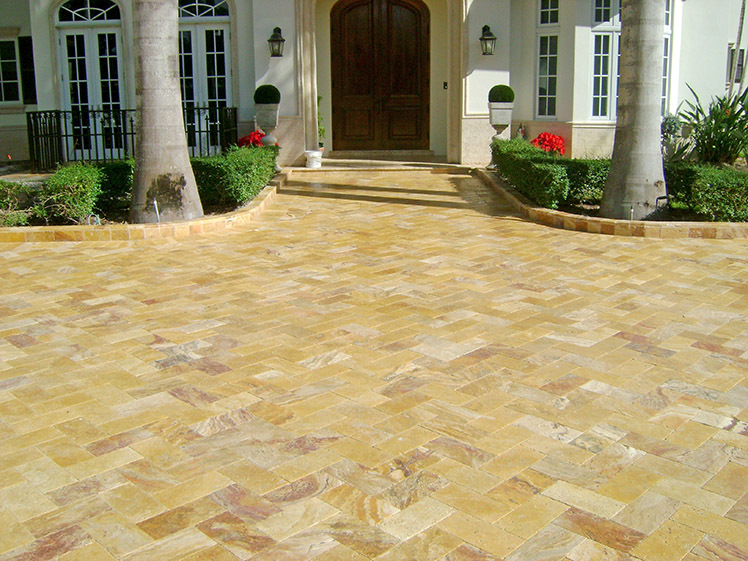 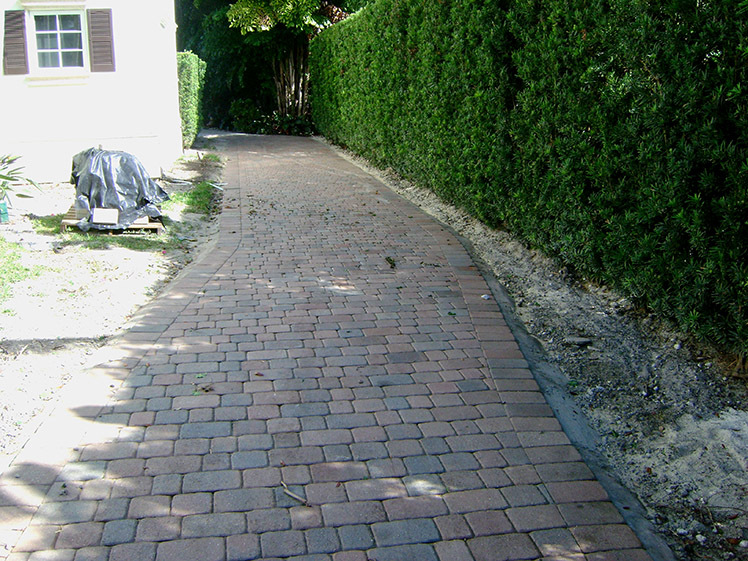 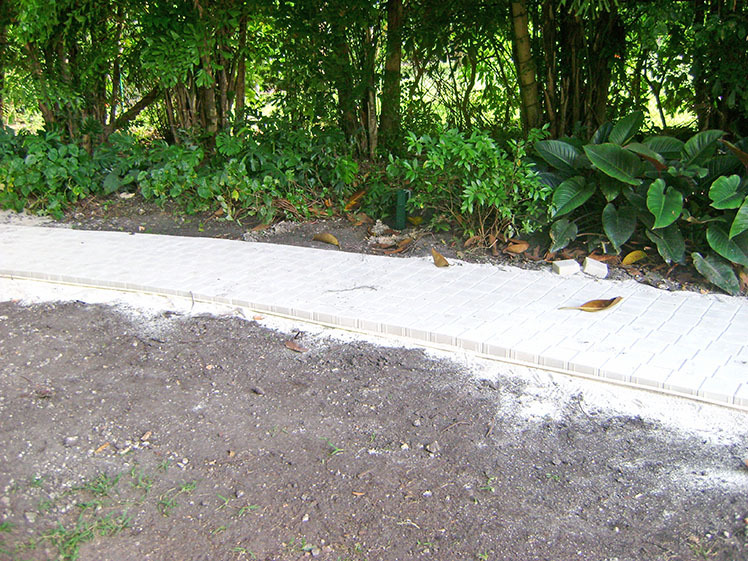 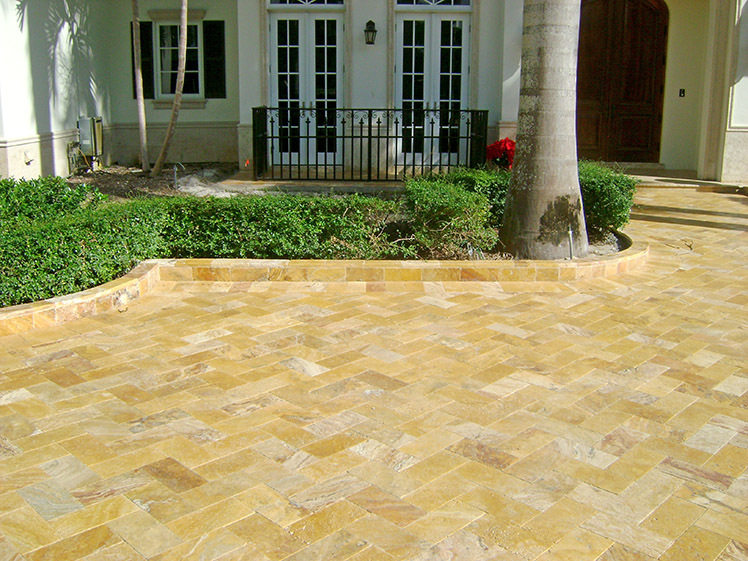 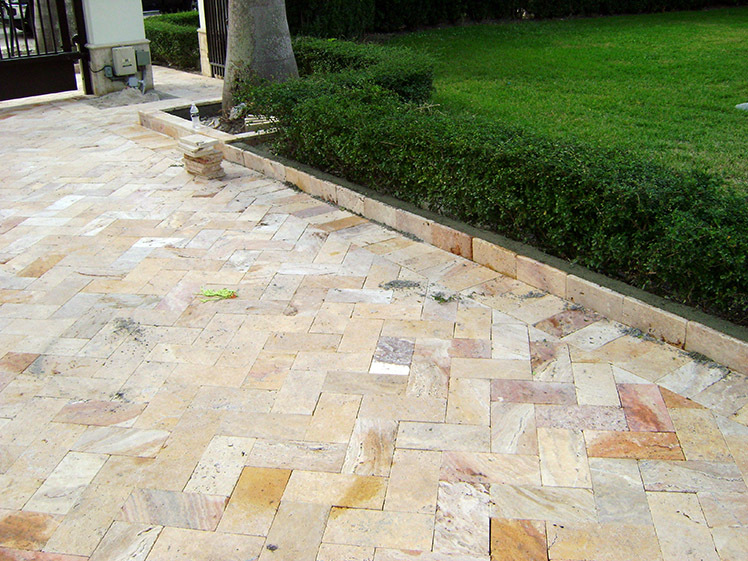 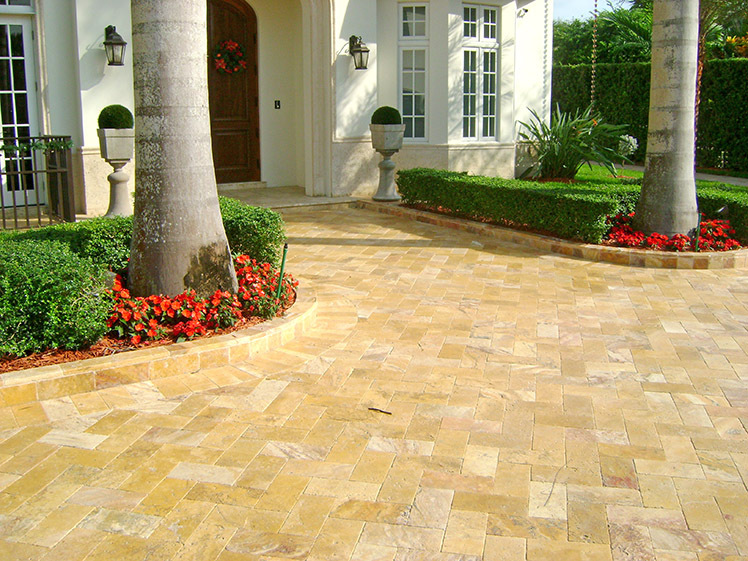 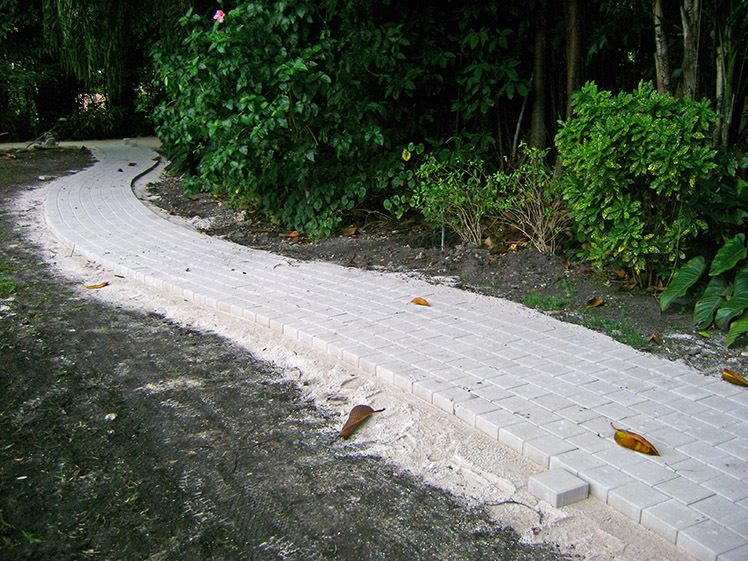 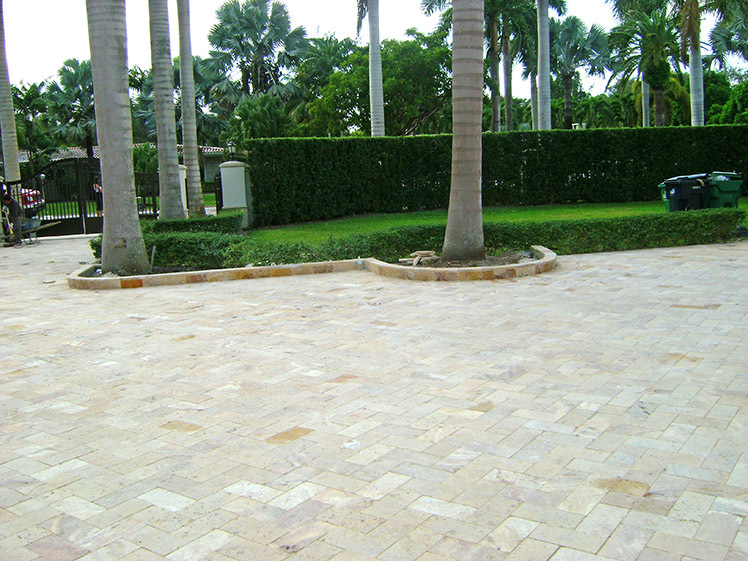 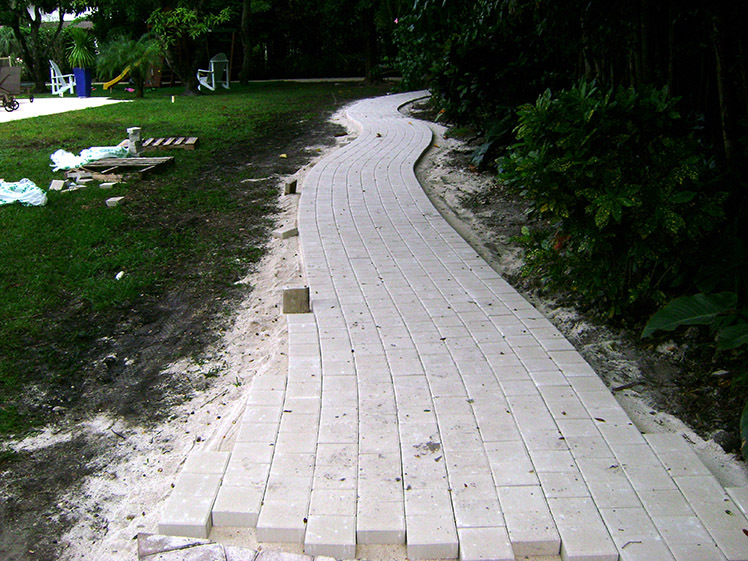 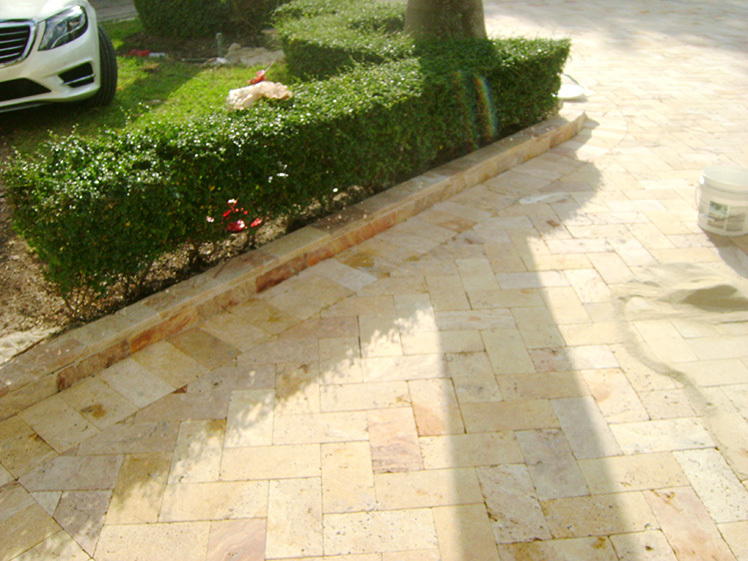 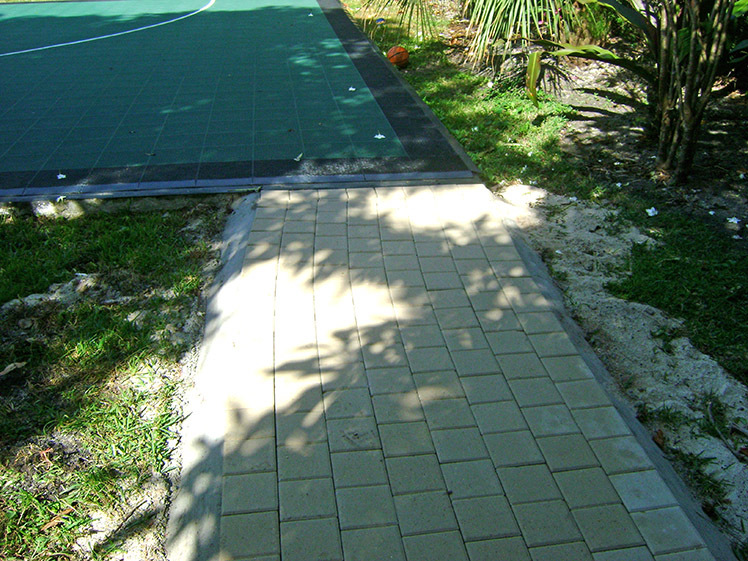 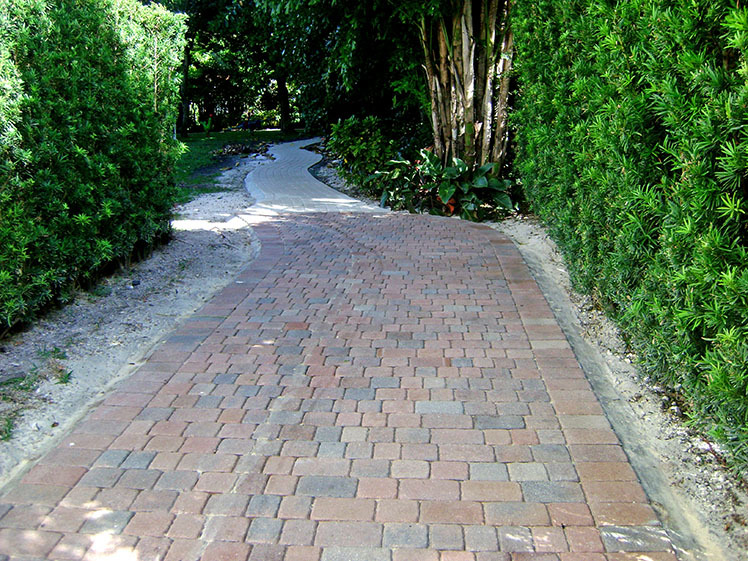 A side aisle was also built using pavers 6″ x 6″, Sand color, which added two days to the estimated time of the original project.